Good news, party people! No more suffering through slightly stale fairy bread, soggy Freddos in jelly and other such delightful party treats. The crew at Bourke St Bakery have just raised the bar. At our kids’ parties, the food is my responsibility. I leave all the organised fun to my husband, because I am fairly picky about party food, even for kids’ parties. 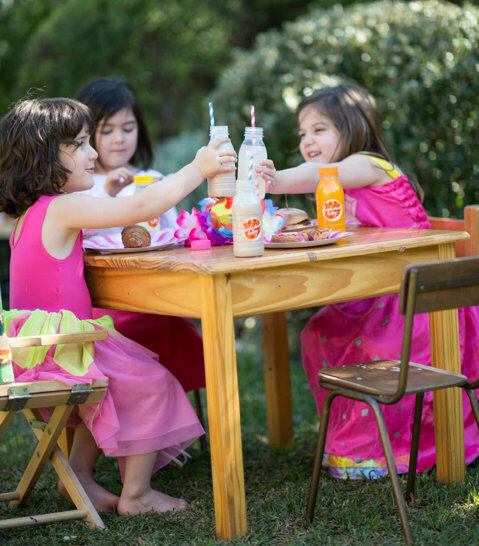 I want the kids to enjoy themselves with great food, but here’s the rub – there are always plenty of adults at my kids’ parties, and I want them to have something nice to eat too. Usually this is fine until about two days before the party when I realise that as well as the cheezels and cake, I want to include adult-friendly sandwiches, cheese platters and fruit platters, and on one memorable occasion – a glazed ham. It turns out there’s a better way, and it’s not just for people trying to impress other parents! If you’re looking for someone to take all the hassle out of the catering for a party, Bourke St Bakery have the answer. 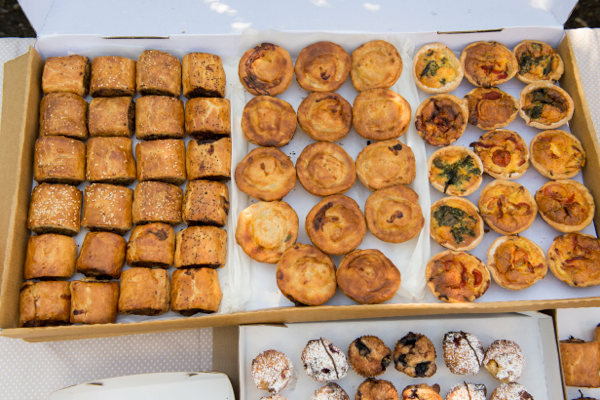 Their new kids’ catering service includes miniature versions of all their classics (sausage rolls, pies, quiches, tarts, muffins and cakes) and they even do drinks and lolly bags. What’s more, as well as birthday cakes, they now also offer their gorgeous vanilla slab cakes undecorated, so you can still claim some of the glory. Best of all, you can order and pay for it all online, and they only need seven days notice. If all this has your tastebuds tingling and you live in Sydney, check out their party menu or head over to Bourke St Bakery for the full lowdown.